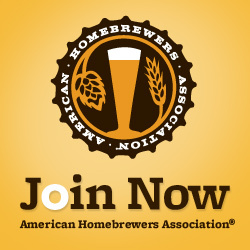 We are a DC-centric club dedicated to the art and science of homebrewing. Our mission is to educate our members and the community at large, and provide a social atmosphere for our members. Membership is free and open to anyone (of legal drinking age) who would like to join by signing up for the email list via this web site. We try to meet on the 3rd Tuesday of every month, either at a member’s home or a homebrew-friendly public establishment. Either way, the meetings will be Metro-friendly. Members receive an email at least a couple weeks in advance notifying them of the exact date, and several days in advance notifying them of the exact location. Just started homebrewing, and would like to learn more so I can create a unique recipe! I have tried several times to join the email list but the link for “join” keeps failing. I am new to the area and would love to see what the home brewing community is like here. If you would kindly place me on the list I will try and be at the next meeting. Thanks so much.